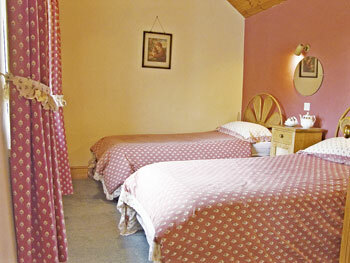 Garden Cottage is a comfortable, two bedroom property located on Venn Farm in Ugborough, near Ivybridge in Devon. 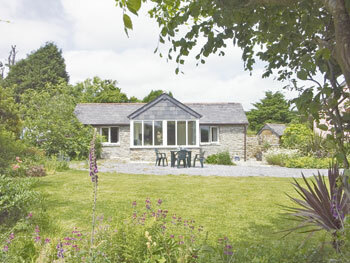 The farm is a working sheep farm in the middle of the South Hams countryside, which also offers a fishing lake, which is filled with carp, bream and tench, as well as 70 acres of farmland which guests are welcome to explore. Venn Farm provides a wonderfully relaxing holiday retreat, yet is only two miles from good roads that make it easy to explore further afield. The delightful little Georgian town of Modbury, with its specialist and antique shops and splendid inns, is under 5 miles, whilst nearby is Ivybridge, known as the southern gateway to Dartmoor, offers excellent sports facilities, an indoor pool and a renowned garden centre. Superb sandy beaches at Mothecombe and Bigbury-on-Sea, and a variety of watersports at the picturesque twin villages of Newton Ferrers and Noss Mayo are all within about half an hour's drive. Just 16 miles away, Plymouth's Aquarium and wealth of city amenities, including cinema, theatre and a dry ski slope, are easily accessible, and the Eden Project (about 1¼ hours by car) makes a fascinating day out. Burgh Island, of Agatha Christie fame, and the National Trust properties of Saltram House and Coleton Fishacre are also within easy reach. Dartmoor's scenic beauty and the spectacular coastline afford splendid walking opportunities. Closer to home, good walking, riding and golf can be enjoyed locally, there are two village pubs within ¾ mile and the nearest shop is in Wrangaton 2 miles. The friendly owners welcome disabled visitors and have ensured that the cottage is suitable for wheelchair access and have flush to floor showers (a shower chair is available).